Laboratory Consultant Libby Knollmeyer on Buying Equipment for a Practice Laboratory: Purchase, Lease or Reagent Rental? If you’re considering opening your own lab or considering your options for adding a new service line to your lab, you should review the three different ways of procuring equipment and supplies. When you purchase equipment outright, you either have the cash on hand to purchase the equipment or you borrow the funds from the bank. A purchase usually carries the lowest interest rate for a loan, but the capital equipment must be depreciated over a period of time (generally five years for laboratory equipment) and appears on the balance sheet as a long-term debt. If assets are liquidated to purchase capital equipment, the interest opportunity for those assets must be factored in against the lower interest rate available for a loan versus a lease. A lease can be one of two types: Fair Market value (FMv) or capital. In a FMv lease, ownership at the end of the lease is dependent on the lessee paying a “fair market value” for the commodity, generally 10% – 15% of the retail price of the goods. A capital lease is also sometimes referred to as a “dollar buy-out lease” because at the end of the term of the lease, the lessee can purchase the commodity for $1.00. As one would expect, the interest rate on a FMv lease is less than on a capital lease. Ownership is optional at the end of the lease period, but is generally a given for a capital lease because there would be no reason to opt for a capital lease with the higher interest rate if ownership at the end of the lease was not desired. Capital leases can be deducted for tax purposes like purchases. One of the most attractive options for leasing capital equipment is there is no capital outlay required to acquire the equipment. Another is that service can be added to the lease payment as an interest-free “pass through,” whereby the leasing agency passes the service payment on to the contracted service provider on a monthly basis, eliminating the large service contract that would otherwise come due annually after the warranty has elapsed. And, unlike a purchase, a lease can be considered a tax-deductible overhead expense. A reagent rental agreement is arranged by the manufacturer or distributor of the equipment being acquired. The cost is usually based on a cost per reportable test (CPR), but sometimes is based on total test count. In a CPR arrangement, calibrations and controls are not counted in the pricing structure, while in a total test count arrangement, all tests are counted and charged. The price paid per test covers the cost of the instrument, service, reagents and consumables for the term of the agreement, but there is no ownership at the end of the agreement. This option, like leasing, offers the use of capital equipment, reagents and consumables without capital outlay. It also eliminates the need to contract for service annually after the warranty has elapsed because the service is covered in the CPR. For labs with very large volumes, highly competitive CPR rates can be negotiated, making this an attractive option for reference labs. 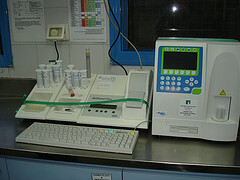 However, the CPR is calculated to cover the cost of the equipment and service in addition to reagents and consumables, so at the end of the term of the agreement, the instrument has essentially been paid for but there is no ownership. If the reagent rental agreement is renewed without renegotiating the terms, the equipment could be paid for more than once without ever achieving ownership. Successful reagent rental arrangements require the lab operator to have an accurate estimate of test volumes over the length of the agreement. Failure to estimate correctly could mean paying for tests that are never run, or losing the lower cost per test advantage that generally accompanies growth. If the manager’s estimate of tests performed over the term of the agreement is too low, the organization will pay much more than they need to for tests. However, for small labs with no capital funds available for instrument purchases, this option might allow the lab to do in-house testing that otherwise might not be available. Is the technology changing rapidly? If the technology is volatile and rapidly changing, ownership of highly technical equipment can be a burden. If the technology is going to evolve and change to the extent that the equipment is out of date by the end of the term of the loan or lease, ownership is not always desirable, unless the dated equipment could be used as a backup instrument. What is your financial position? Is your cash flow sluggish? Choose a reagent rental. Is your credit tapped out? Choose a lease or reagent rental. Is it preferable for the equipment to show up on the balance sheet as a long-term debt (buy it) or on the operating statement as an expense (lease it or go the reagent rental route)? Who has the best deal? Talk to the rep who sells you your medical supplies. Talk to your group purchasing organization. Talk to someone from whom you’ve purchased medical equipment before. Ask other offices who they’ve purchased from. Ask a consultant to shop it for you. Talk to someone from your specialty society to see if any deals are to be had from affiliates. Crunch the numbers, consider your group’s position financially and tax-wise, and make a the best decision based on what you know about your world today, and your best guess about tomorrow. 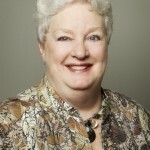 Consultant Elizabeth Knollmeyer, B.S., MT (ASCP) has over 40 years experience in the laboratory industry. She specializes in financial, operational management and compliance issues for both hospital and physician office laboratories. Libby has a wide variety of experience with her areas of special expertise including financial review and management, Quality Management protocols, Outreach development, compliance and regulatory assistance, lab design and up fitting, lab remodeling, and market research for IVD manufacturers. She works independently and with large consulting groups to provide interim management for hospitals, and serves as adviser to lab equipment and supply distributors. She can be reached at (336) 288-5823 or at eknollmeyer@triad.rr.com.